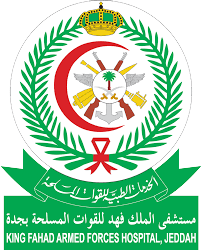 The King Fahd Armed Forces Hospital is situated in the busy seaport of Jeddah on the western seaboard of the Red Sea. Initially there was only a 76-bed Armed Forces Hospital in Jeddah. 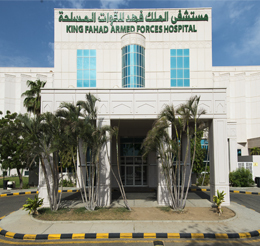 However, to meet the medical needs of the personnel of all of the Armed Forces Installations there, a new and progressive 420-bed Armed Forces hospital was directed to be built by His Royal Highness Prince Sultan bin Abdul Aziz Al Saud, Second Deputy Premier, Minister of Defense and Aviation and Inspector General. Now, the hospital has five city-wide satellite clinics form part of a KFAFHnational network of healthcare facilities directly managed by the Medical Services Division (MSD) of the Ministry of Defense and Aviation (MODA). One of the primary concerns of the Ministry of Defense and Aviation is to provide medical care to all of the Armed Forces personnel. Therefore, medical services have been establised in all military locations. The hospital provides a wide range of primary, secondary and tertiary medical services to members of the Saudi Arabian Armed Forces and their dependents. The Cardiac Center, situated within the main hospital, is the only adult cardiac surgical facility in the Western Region. In-service training and education are actively promoted by the Departments of Medical Education and Nursing Education and from within the individual departments. The programme includes a weekly hospital Grand Round, monthly Nursing Grand Rounds and regular nursing study days. 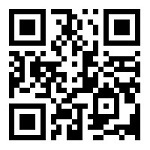 Inter- and intra-departmental activities include seminars, case presentations and Journal Clubs. The hospital is also a designated training center for junior medical and nursing staff. All departments and units, both medical and non-medical, have written Policies and Procedures to ensure delivery of consistent levels of quality care and service.